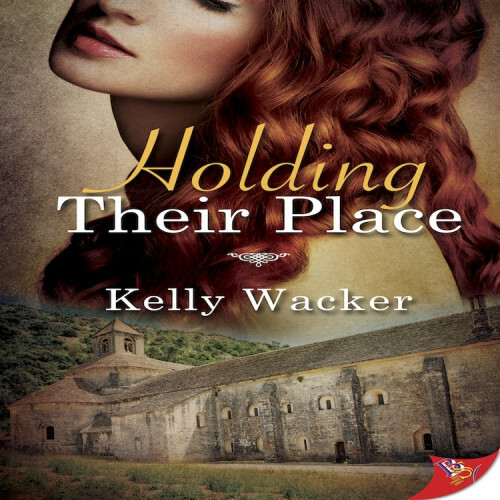 Your debut novella, Holding Their Place,has just come out. Congratulations! Thank you! I am so delighted that it’s out in the world and incredibly happy for it to be published by Bold Strokes Books. Your story is set in France during World War I. Not the most obvious setting for lesbian romance. What made you choose it? I’ve had a feeling for the time period for quite a while, both personally and professionally. My grandfather served in northern France during World War I and I have his photographs, service medal, and souvenirs from his deployment. As a kid I read the letters he sent home and would put on his scratchy wool uniform. He didn’t talk much about it that I recall, though I know from my grandmother that he had experienced a gas attack and suffered from emphysema as a result. He died when I was thirteen years old. I wish I had known him longer, I would have asked him better questions. As an art historian, I find this part of the twentieth century fascinating. So much was changing during this time and the war was really a pivot point in history—the world was a very different place before and after it, especially for women. Also, the war ended in 1918, a hundred years ago from now, and that resonated with me. Your characters—British surgeon Helen Connery and ambulance driver Julia March—are working to save lives in some of the harshest conditions imaginable. What kind of research did you do to get the details right? Since it’s the centennial of the war, which lasted from 1914–1918, there has been a lot of interest in it in the last few years, especially in Britain, and there are so many great web-based resources. The Imperial War Museum’s website is a treasure trove of paintings, photographs, and images of objects. Those were invaluable for getting a sense of objects and how things looked. I came across a BBC radio program about the Endell Street Military Hospital and how it was an all-woman operation top to bottom, from administrators, doctors, nursing staff, orderlies, and ambulance drivers. That was such an unexpected and exciting discovery. Curiosity is a researcher’s best attribute, and I sometimes refer to doing research as going down rabbit holes—something piques your interest and then you start digging around to find out whatever you can, and the next thing you know you’ve found another rabbit hole! I had originally envisioned Helen as a nurse, but once I learned about the Endell Street hospital that changed. I read several essays about the Women's Hospital Corps and the hospital by the medical historian Dr. Jennian Geddes about their militant suffragette founders, Dr. Flora Murray and Dr. Luisa Garrett Anderson, who, by the way, are buried side-by-side with an epitaph that says We were gloriously happy. Murray’s descriptive and sometimes witty history of the hospitals deeply affected the tone of my story. The internet is such a wonderful resource for checking details. For example, when Helen goes to the garden for her fateful meeting with Julia I wanted her to take some tea with her. My first thought was, in what would she carry her tea? In a few minutes I was able to confirm that the thermos did indeed exist in 1916. Although their jobs are difficult and dangerous, you take them out of that setting to truly connect. Tell us about their seaside escape. Given the cramped quarters of the abbey hospital, as well as the social restrictions of the time, it was important that Helen and Julia have some privacy for their relationship to fully develop, both emotionally and physically. After the battle, in which Julia is wounded, they are granted leave for a few days and travel to Wimereux where they stay in a cozy townhouse. Unlike Montpatre, my fictional abbey, it’s a real place on the north coast of France, near the Belgian border at a point close to England. During the war it became an important British naval base and housed several military hospitals, including one initially founded by Murray and Anderson. Wimereux provides a contrast to the soul-crushing war. It’s an important reminder for Helen and Julia of what normal life is like, but it’s also a taste of what it could be like for them as a couple. Confession time: Did you pull from personal experience at all? Yes, personal experiences are peppered throughout the story. I have dogs—a Welsh terrier and a black shepherd mix—who provided inspiration for Jinx and Max. Details large and small are often based on my actual experiences and observations of people, places and landscapes, art, and architecture. But, in the end, experience and imagination blend together. You’re an academic by training and you work as a professor. Does that spill over into your romance writing at all? Definitely! My research skills were put to good use writing a historical romance. I’m an art historian which means I’m trained to look carefully and to accurately describe what I see. That’s also useful for a writer of fiction. As a reader I really enjoy stories where I get caught up in the world that the author has crafted, but I also like coming away from a story having learned something new, too. I hoped to do that with Holding Their Place. It was written for the reader to enjoy, but I think the professor who wants to share her passion for art and history is always lurking in the background. Do your colleagues know about your alter ego? Some do, but I haven’t really broadcast it. Those who do know have been excited and incredibly supportive about it. We’re busy people, so usually the first thing they want to know is how I find the time to write. I’m working on a novel, a contemporary romance with a paranormal twist. The settings are places I know well, the Deep South and the Rocky Mountains, and the two main characters are an art historian and a wildlife biologist. Any advice for aspiring writers out there? Interestingly, it’s similar to what I tell my students: follow your passion and things will fall into place. For writers, I’d say write what you feel strongly about, what is important to you. And then consider how you can fold that into an engaging story. But also be aware that writing, thinking about writing, and doing research are time consuming and obsessive, especially when you get to the editing stage. You really have to have understanding and supportive partners and friends. Having a beta reader who will give you honest and constructive feedback is hugely beneficial, too. When you’re not writing, what do you do for fun? Fun is anything involving the great outdoors—gardening, taking walks in natural places, paddling a kayak on a lake, or getting my feet wet in a creek. I like cooking and baking—the latter has recently been influenced by the Great British Baking Show which taught me to make a good Victoria sponge. Making food is always more fun when you share it with friends. And, of course, reading good stories with a good cup of coffee. Anything that would have me stuck in an office and behind a desk from nine to five.